I have experimented with this easel card. I cut the circle with fiskars circle cutter. The base looks long rectangle, but infact it's a square and fits perfectly with the circle. The Image is Bells' n Whistles ( my first one). I love Elizabeth Bell's images. Recently I used my newly bought hand shredder and made lots of paper strips. They came in handy to make these quilled flowers for this card. Great card love your flowers thanks for joining us at S J Crafts this month. Beautiful Image and the Flowers look so lovely..Such a Pretty Card!! 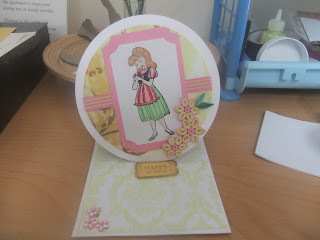 This easel card is fantastic, I love the colors and the stamp is beautiful. 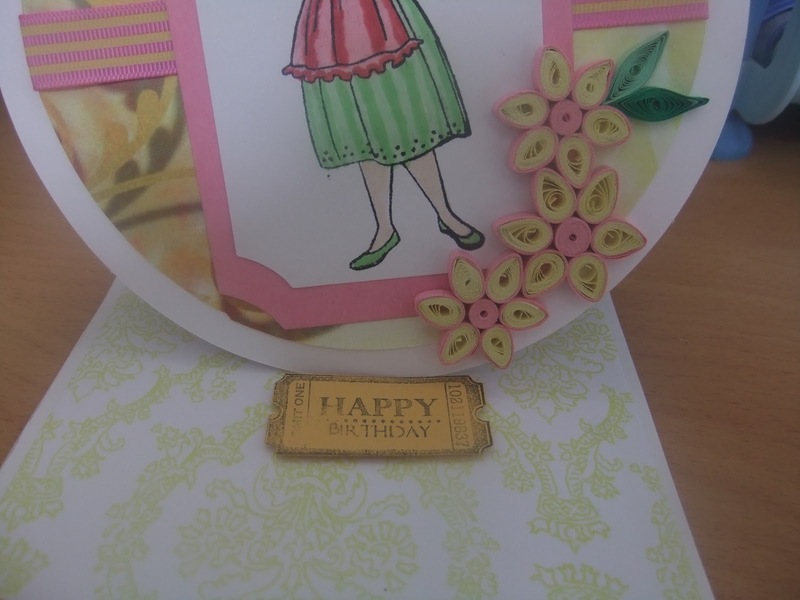 Thank you for playing along in our Pink and Girly challenge over at The Crafty Purple Frog Challenge Blog! 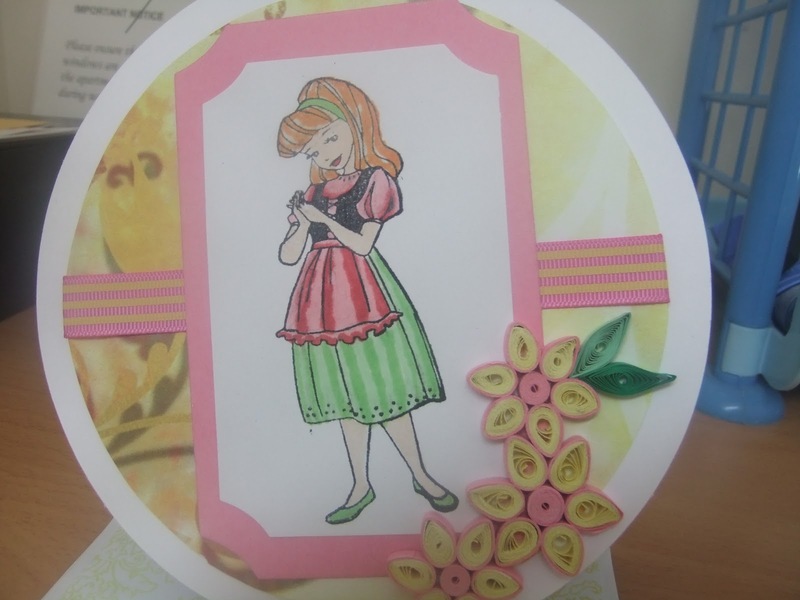 Love your quilled flower accents - very lovely. Thanks for joining in on the March challenge at OCS - and good luck.